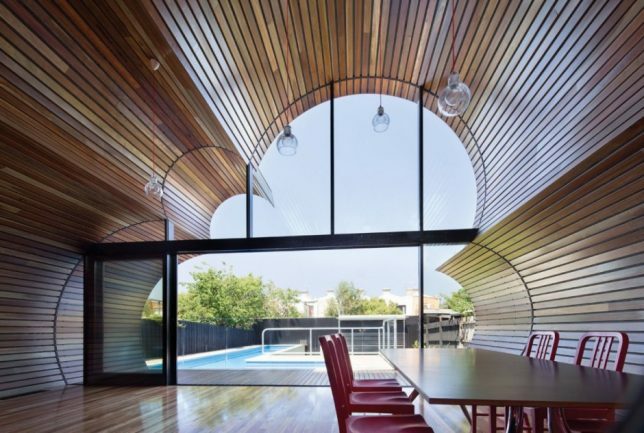 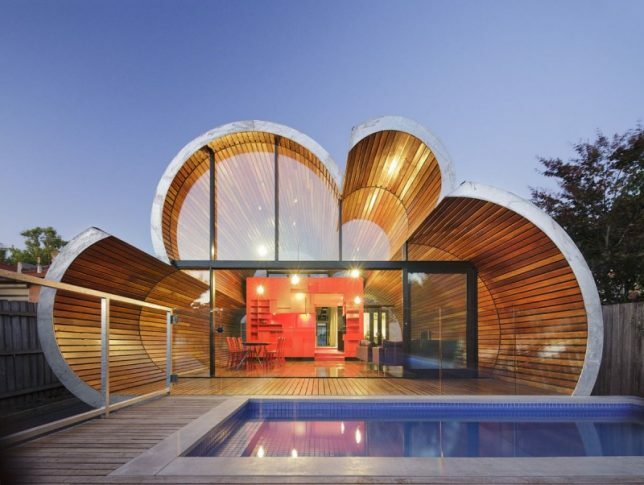 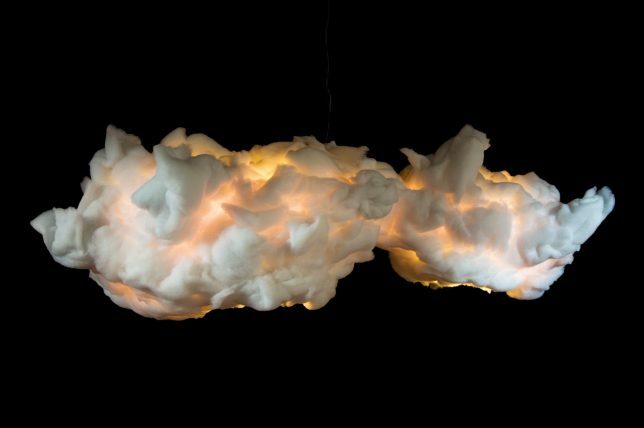 Floating on air, flickering with lightning, providing a pillowy soft surface or gently raining water down on plants, these cloud-shaped home accents and architectural designs are downright heavenly. 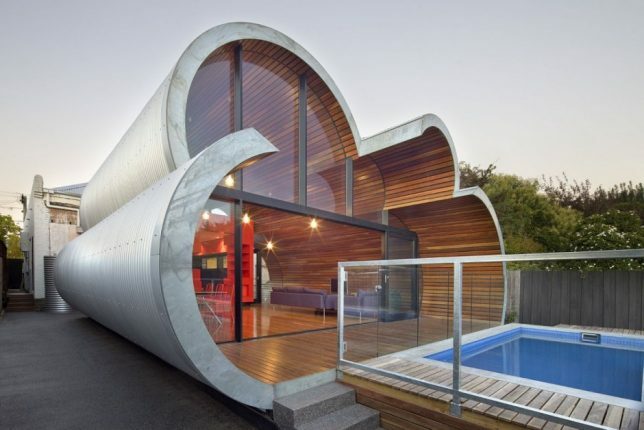 A bluetooth speaker magically levitates above its base, a lamp provides motion-activated thunderstorm shows, a concrete display base makes toilet paper commercials literal in their comparisons and a house in Australia takes on a highly unusual silhouette. 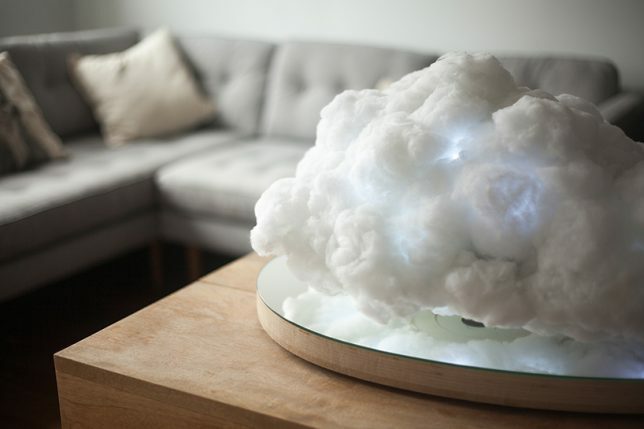 A cumulus cloud hovers over a wooden base, floating up to two inches above the surface, bobbing back and forth. 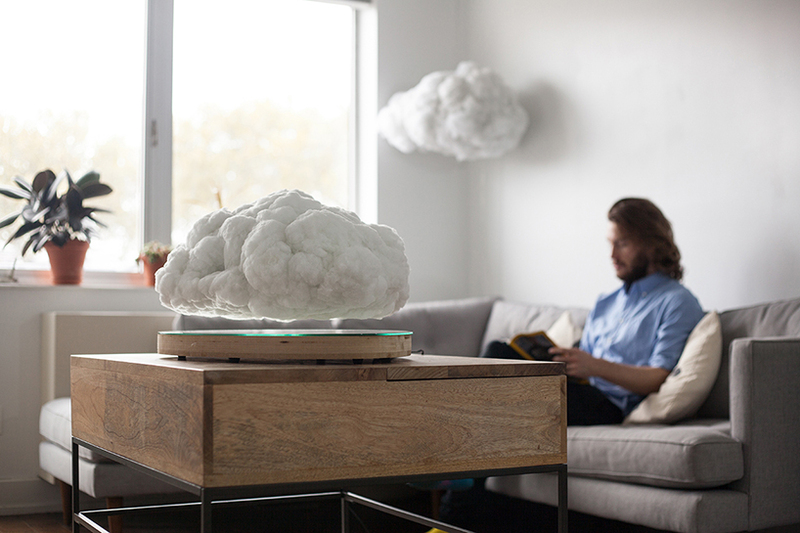 That cloud is actually a speaker, and it levitates using the power of magnets. 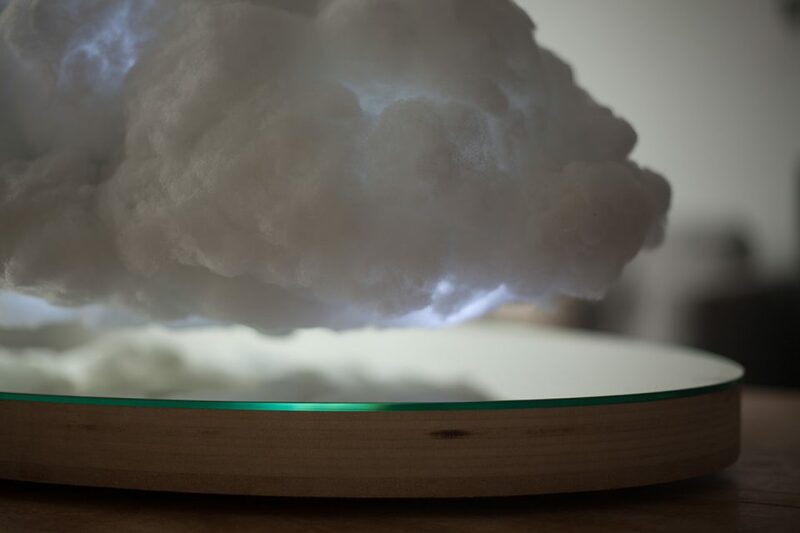 ‘Making Weather’ blends Crealev’s magnetic levitation technology with Richard Clarkson’s artificial cloud designs for an eye-catching product that flickers with ‘lightning’ when you play music. 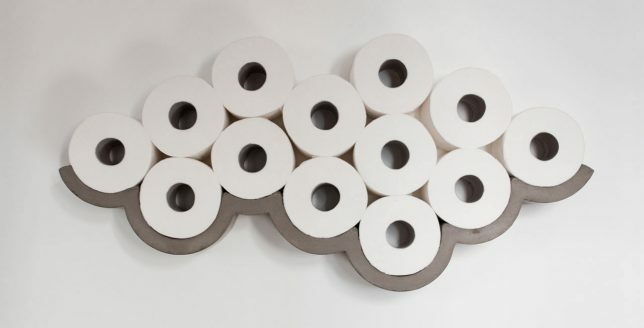 This might just be the most clever display of backup toilet paper ever created, yet it’s so simple. 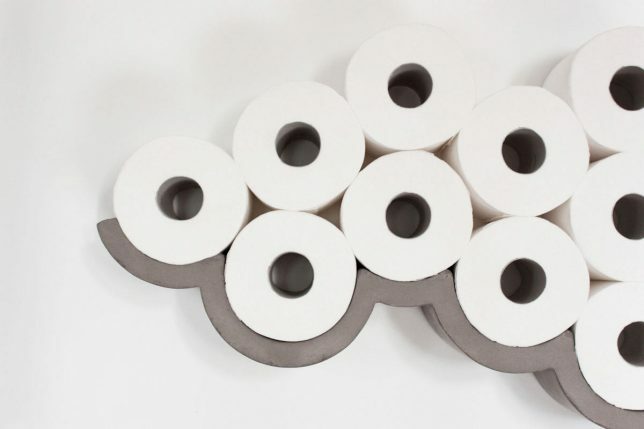 A curving concrete base lets you stack the rolls into a cloud shape, fitting up to 14 rolls for the large size, and it’s also available in a smaller size for space-challenged bathrooms. 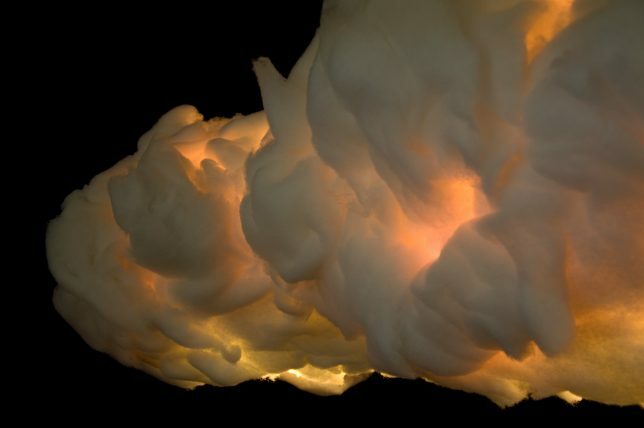 Puffs of ultra-realistic clouds glow as if caught by rays of sunlight, illuminated from within by energy-efficient bulbs and hung from the ceiling. 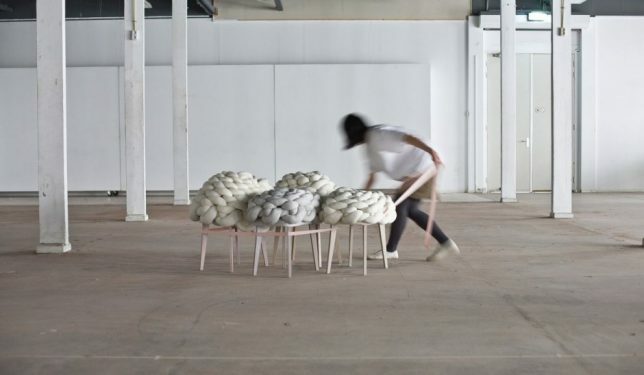 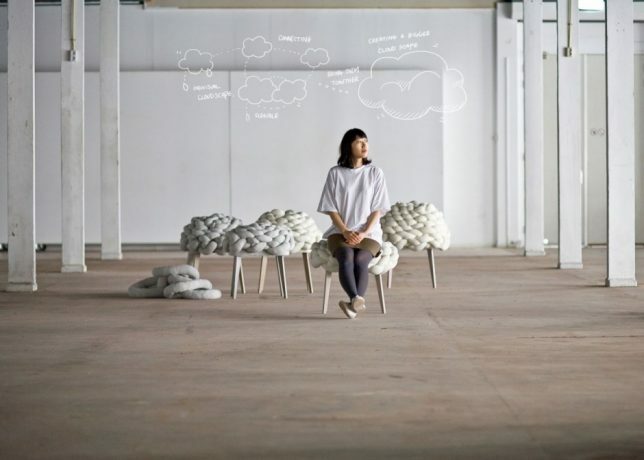 ‘Le Nuage’ by Netherlands-based designer Wout Wessemius is a particularly striking version of the ‘cloud lamp’ phenomenon that swept through the industrial design world over the last few years.